The WEABL Semi-Final was contested with a third meeting of the season between CoLA and JMA, with JMA taking the first two games but this time the home side coming away with a 63-54 victory which advances them into the WEABL Finals on April 3. CoLA came out of the gate with a 7-0 run to begin the game with Maya Hyacienth catching fire and going 3-3 from behind the arc. JMA showed their relentlessness and will which clawed them back after some big shots from Noa Sanchez Marques, with CoLA ending the first quarter up 24-11. The second quarter was a nip and tuck affair, with both teams playing some good basketball in spells but also some costly turnovers for both team and foul trouble kept the game at a slow pace. Ashana Hinds entered the game with two shot clock buzzer-beaters to steady the home side when JMA looked like they would mount a run. The score at the half was 40-26. JMA then started the second half with conviction putting CoLA under intense pressure with their ball movement and drives to the basket. CoLA’s defense would hold up at times but the home side were picking up fouls in quick succession leading to foul trouble ,which would give JMA an opportunity to get back in the game, and close the gap to 13 points going into the last period. The fourth quarter was a roller coaster ride, with JMA mounting a comeback to get the lead all the way down to three points at one stage. Maya Hyacienth and Adaobi Nebuwa then stepped up to make some big plays in the last two minutes and seal the game from the free throw line with the final score ending 63-54. CoLA were led in scoring by Maya Hyacienth with 15 points, whilst Adaobi Nebuwa and Amelia Sandie both added 9 points. Sanchez Marques and Annabel Ciria carried the fight for JMA with 16 and 10 points respectively. 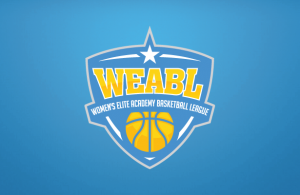 The WEABL Finals will be held at the University of Essex on April 3rd.